We are often asked if we stain the wood, or modify the natural color. We don’t need to! Wood has an incredible spectrum of color and we are pleased to be able to show the full range in Bojt Studio Bentwood Rings. Here’s a handful of rings gathered from the bench one morning… amazing color! We have more than 100 species of wood in stock in the studio every day. From exotic hardwoods to humble repurposed timber, we probably have what you are looking for. It not, we will do our best to find it! We source our timber from all over the world. Much of the lumber is re-purposed in an effort to be good stewards of our natural resources. Thanks for stopping by to see us today. If you see our displays at an art festival, stop by… we’d love to show you the colors! Or, email us anytime! 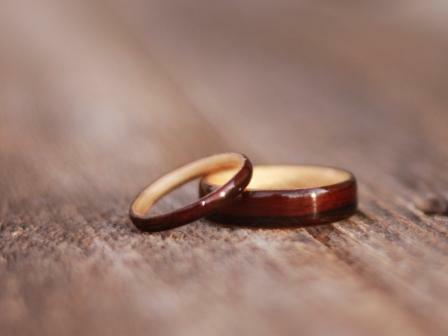 A Bojt Studio Bentwood ring makes the perfect gift for the one you love! It’s time to stomp the grapes at the Carlos Creek Winery... and we wouldn’t miss it! We are excited to be at Grape Stomp 2014. 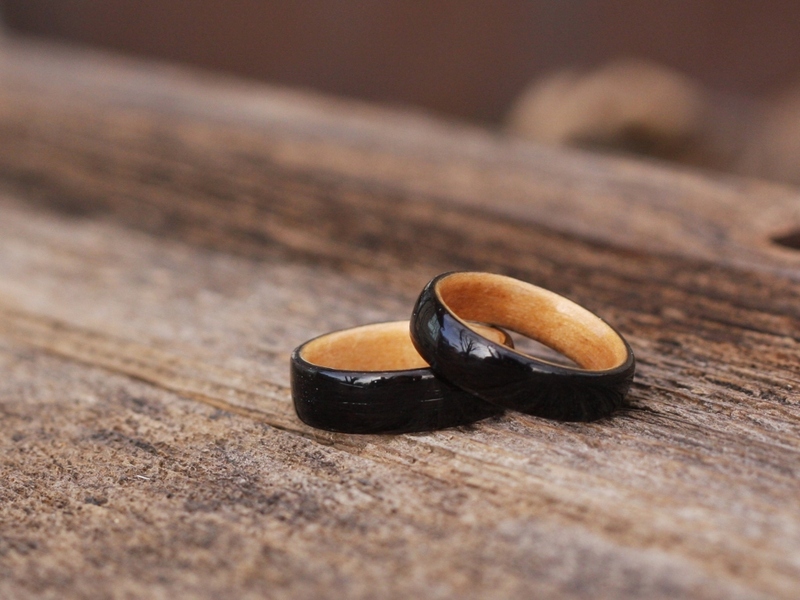 We will have the full line of Bojt Studio Bentwood rings… including our new Solvtre line. 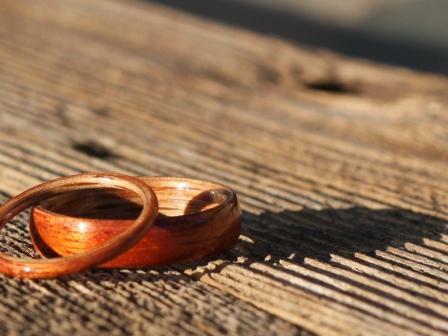 Solvtre is our exclusive line of Bentwood and Sterling Silver rings. Introduced early this year, the line is now available online and at art festivals featuring the work of Bojt Studio. We are looking forward to seeing you and showing the rings to you at Carlos Creek Winery – Grape Stomp 2014! What can a drummer do with a stick shattered by one last rim shot… not much. What can Bojt Studio do with a stick shattered by one last rim shot… plenty! You guessed it, we can make rings for the whole band! 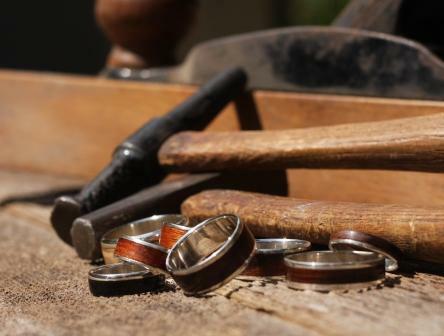 Most sticks are made of hickory or oak, and we can use them as the liner, or as the entire ring. So as a note to all the rock stars and drum line musicians out there… remember mom and dad attended all the concerts, get ’em a ring, exclusively from Bojt Studio. We make matching sets of rings for couples all over the world. We wanted to show the broad variety of sets made recently. Enjoy the show… then click here to order a ring or two for you and your sweetie! 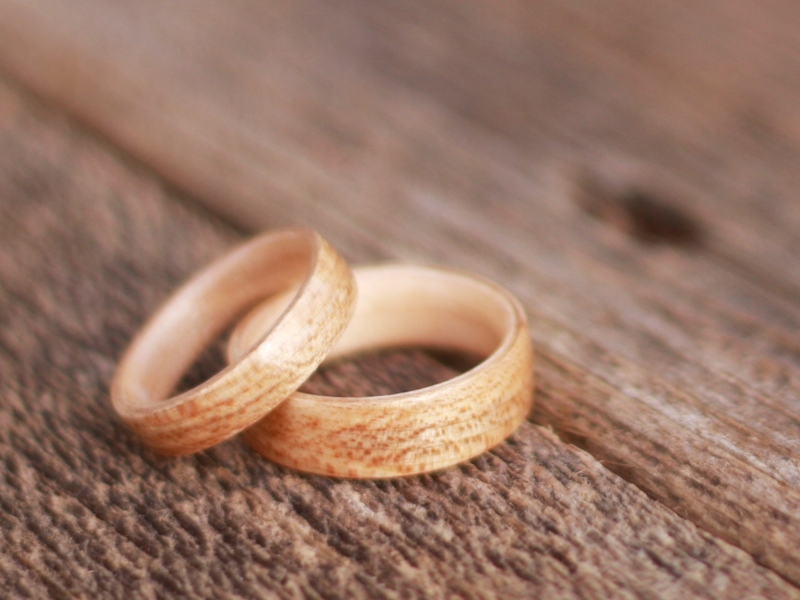 White Oak on White Gold… happily ever after. We recently completed a stunning White Oak ring wedding ring, mounted on white gold. 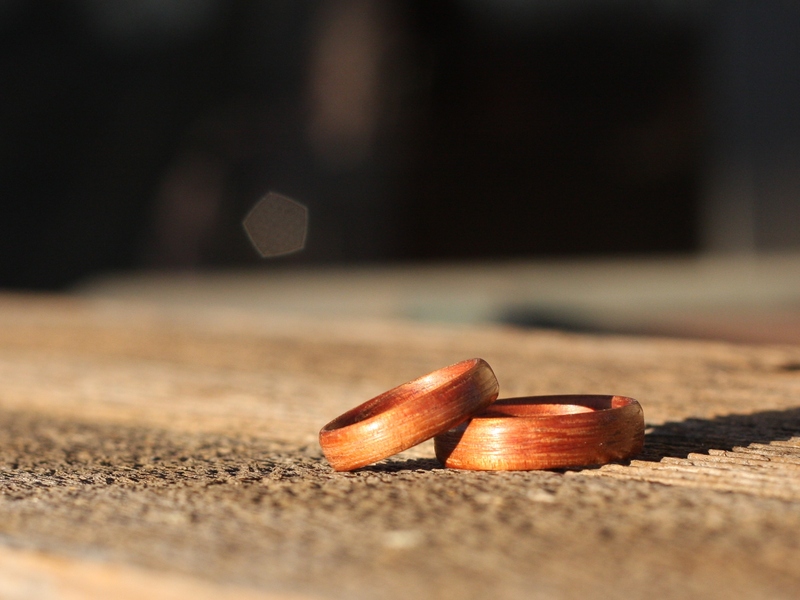 Our Solvtre line of Bojt Studio Bentwood Rings combines precious metals with the warmth of bent wood. This is a wonderful wedding band that was designed especially for the groom. 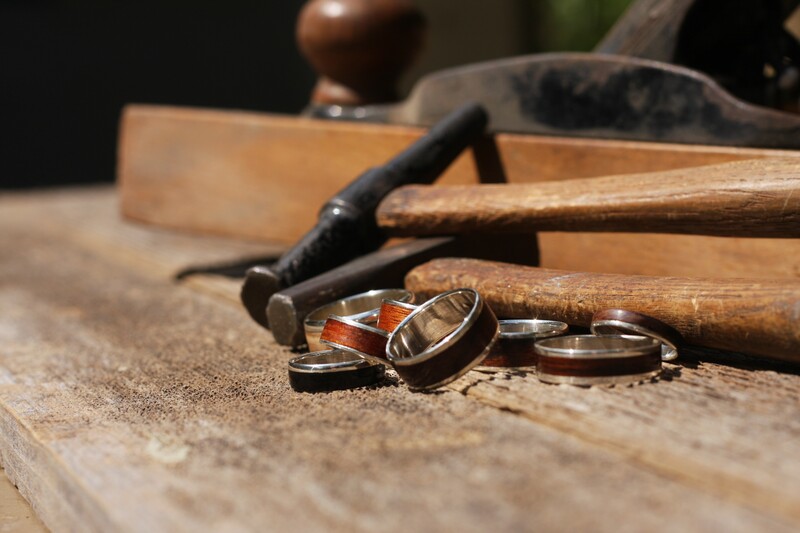 Share your ideas with us, and we will do our best to make a ring that is right of you! 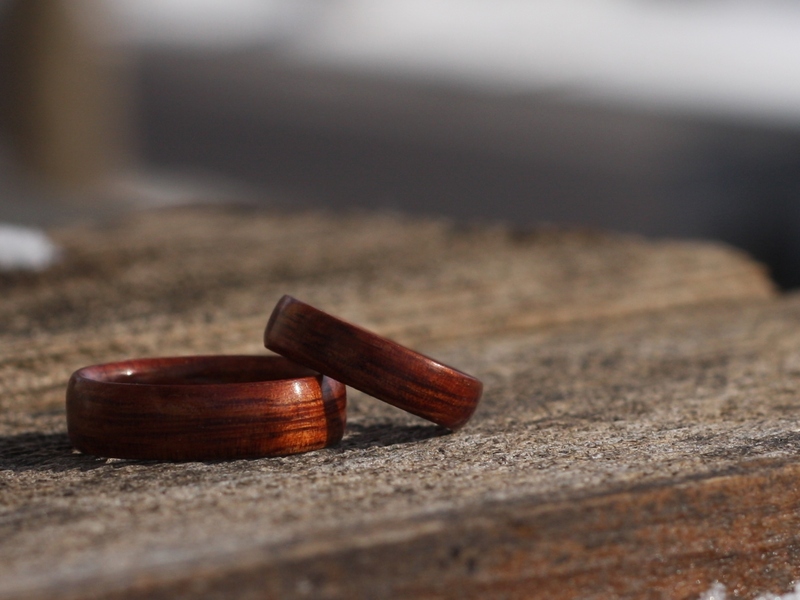 Exceptional rings of bent wood… wearable art created exclusively for you! 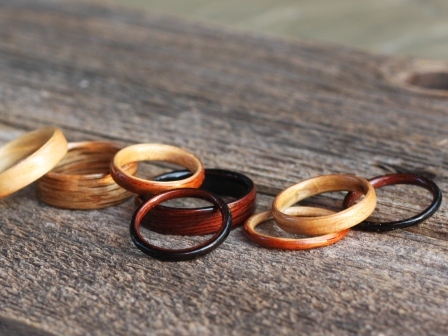 Recently, we debuted a new line of Bojt Studio Bentwood rings. The line is called Solvtre, and its a wonderful combination of Sterling Silver and our unique Bojt Studio bentwoods. Email us for details, or visit us at any of our upcoming shows! 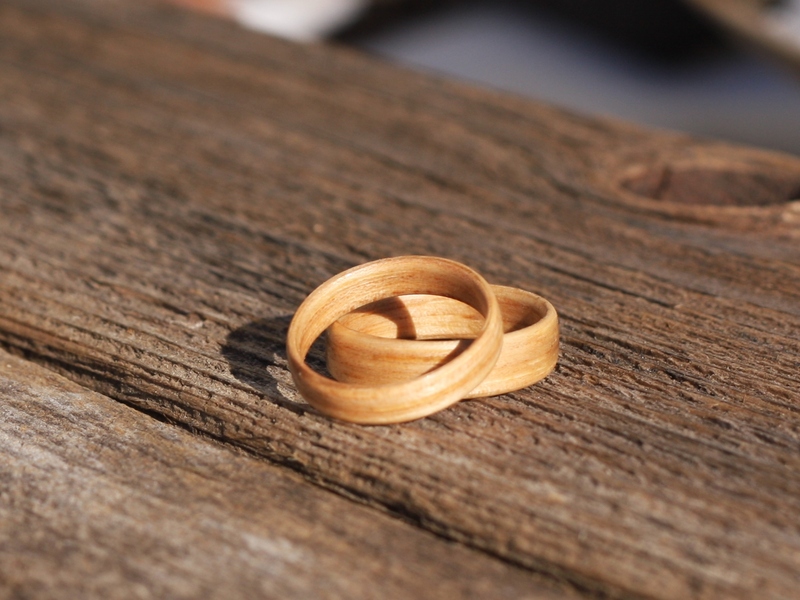 Today a mom connected with us about how happy she was that she had us make an Heirloom Bentwood Ring for her son. 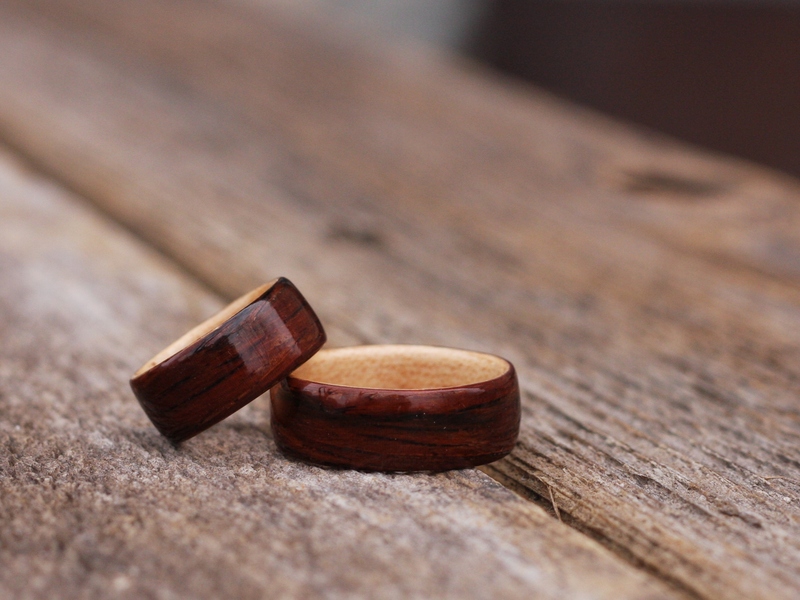 The ring we made for him was of maple, harvested by his dad from a tree that the son watched grow from his bedroom window. 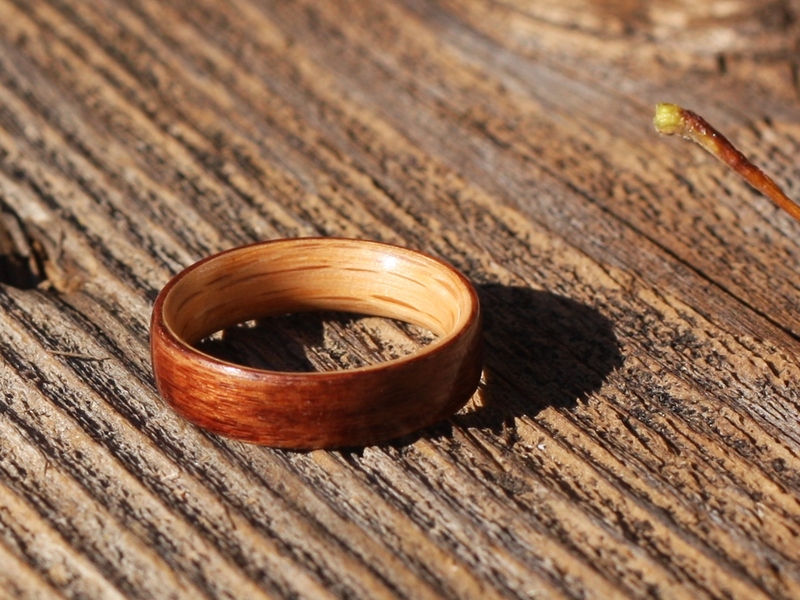 He called it “his tree.” The outer surface of the ring was from wood harvested from a favorite summer family vacation spot. So, as GRADUATION nears, perhaps its time to order a Bojt Studio Bentwood Ring as an heirloom for your graduate… you will be glad you did!